South India is a glorious place to visit. Blessed by nature’s bounty, a rich history and culture and a cuisines that leave you wanting for more, there are ample opportunities for adventure, sightseeing and entertainment. From the fabulous beaches of Goa to the lovely tea plantations of Munnar, from the ancient temples of Madurai to the ruins of Hampi, there is so much to do and so much to see here. A tourist therefore, is spoilt for choices when it comes to experiencing the best of all that South India has to offer. If you want to explore the gorgeous places of South India but cannot decide where to begin, this blog is for you. Of course, Goa is where the fun lies. Beaches, churches and a tangy cuisine which promises to spice up your taste buds, a dull moment is never to be had here. When it comes to beaches, they are those located in North and South Goa. Some of the most famous beaches of North Goa are Calangute, Baga, Vagator and Anjuna, besides others. Some of the famous beaches in South India are Bogmalo, Palolem and Agonda. 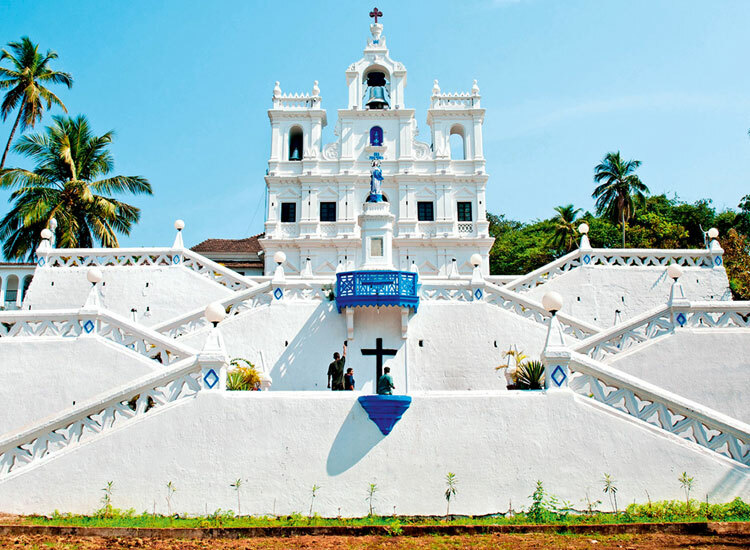 Goa also boasts a wonderful heritage, which is most evident in its churches. One of the most famous churches is the Church of Basilica of Bom Jesus, a UNESCO World Heritage Monument. Then there is the Se Cathedral, Church of Our Lady of Rosary and others. However, for a unique experience, head to the Spice Plantations where you are given a guided tour of the plantations along with a local meal. Besides this, one can also experience the delights of shopping at the Flea Market at Anjuna, also known as the Wednesday Market, or try one’s luck at one of the many casinos in the city. 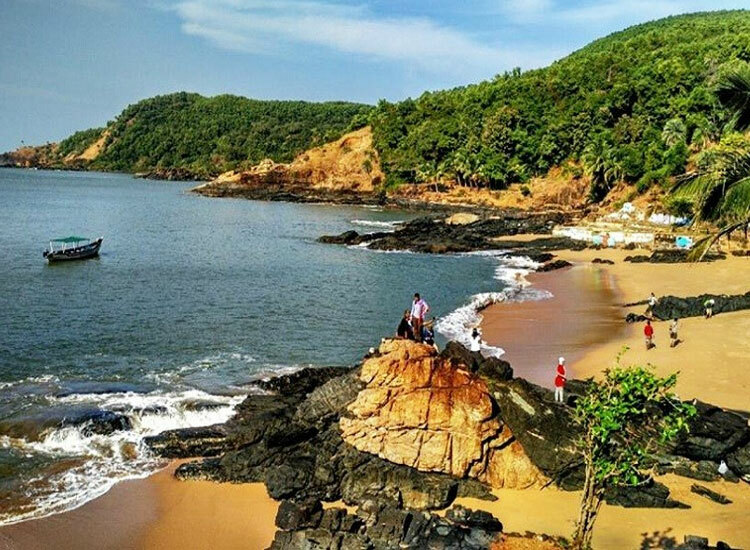 If you are looking for one of the quieter tourist places in South India, then Gokarna is where you need to head to. A quaint town, it offers a variety of experiences. Open beaches, undiscovered coves, mesmeric sunsets, cliffs and temples allures tourists towards this place. One of its more famous beach is the Om Beach, with its Om-shaped shoreline. Here, you can spend your day basking in the sun, or choose to go for an excitement packed beach holiday. Some of the activities on offer here are jet skiing, fishing trips, banana boat rides and much more. However, if none of these appeal to you, you could simply choose to lie back, relax and soak in the relaxing ambience. Alleppey, also known as Alappuzha, is referred to as the Venice of the East. 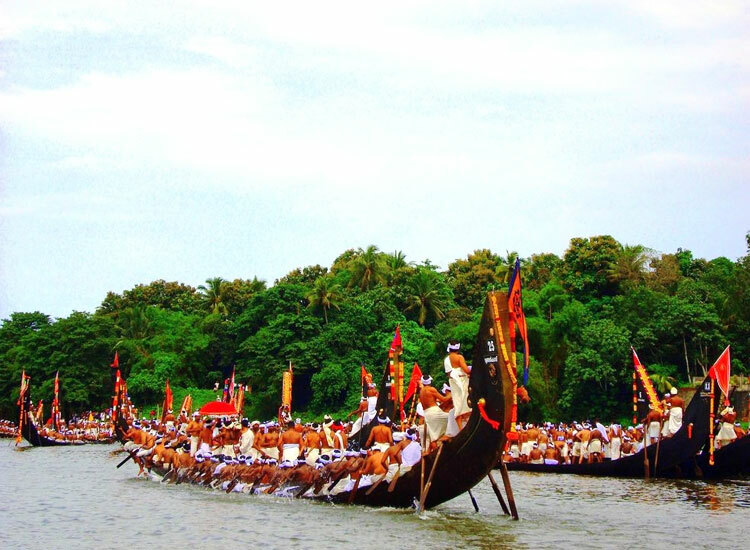 It has always held an important place in the maritime history of Kerala. Its popularity today rests on the various opportunities in terms of adventure and entertainment offered by it – boat races, beaches, backwater holidays, marine products and the coir industry. An altogether different experience awaits tourists in the form of houseboat cruises. This traditional mode of transport, also known as “kettuvallam”, is the best way of exploring the delightful backwaters. They are also equipped with the comforts of a good hotel room and include furnished bedrooms, modern toilets, cosy living rooms, a kitchen and much more. For lack of a better word, we must refer to Hampi as the “ruins of Hampi”. 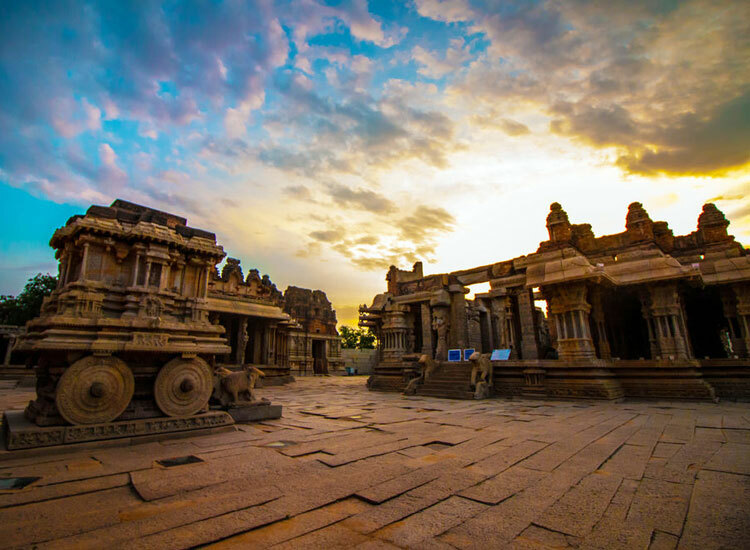 Every bend in the corner here greets you with an architectural masterpiece, and every structure reflects the architectural excellence existing in Hampi when it served as the capital of the Vijaynagara Empire. You certainly can’t miss this place if you are looking for one of the best places to visit in South India. One of the attractions here is the Virupaksha Temple, with its regal 9 story tall gopura. It hosts the wedding ceremony of Lord Shiva and Goddess Parvati every year. Looking around, you come across the long bazaar avenues, which wait in expectation for trade and commerce to resume. Another fabulous architecture is the Vijaya Vittala Temple, whose 56 musical pillars produce the sounds of 56 musical instruments. Other attractions here are all testimony to the glorious reign of the Vijaynagara Empire – the Royal Enclosure, the Lotus Mahal, Mahanavmi Dibba and the Victory Platform. Pondicherry is an oasis of tranquillity in the midst of turmoil, and is naturally one of the most favoured holiday destinations in South India. What sets this town apart from the others is its unmistakable French connection, the tree lined boulevards, the colonial era buildings and lots of unspoilt beaches, apart from others. However, the iconic landmarks of this city are Auroville and Sri Aurobindo Ashram, both of which should be visited both for their historical and spiritual value. The best way of exploring the heritage of this city is going for heritage walks. 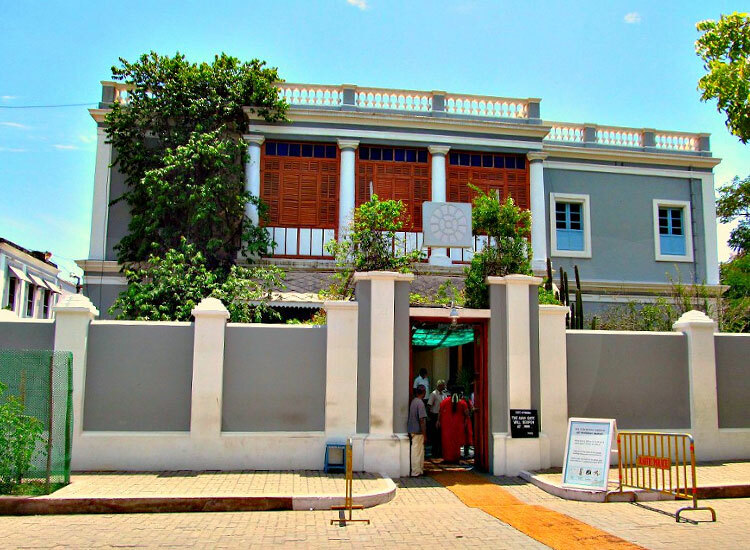 On these walks, you could explore the various heritage attractions of the city like the Tamil quarters, the French Heritage and the Aurobindo Ashram. To witness the culture of the city, which is an amalgamation of Tamil, French and French influence, you should head to the art galleries which showcase painting, sculpture and photography. This is also the place to lay your hands on some cheap export surplus clothing, duty free steel articles and custom made footwear in one of the many markets of the city. 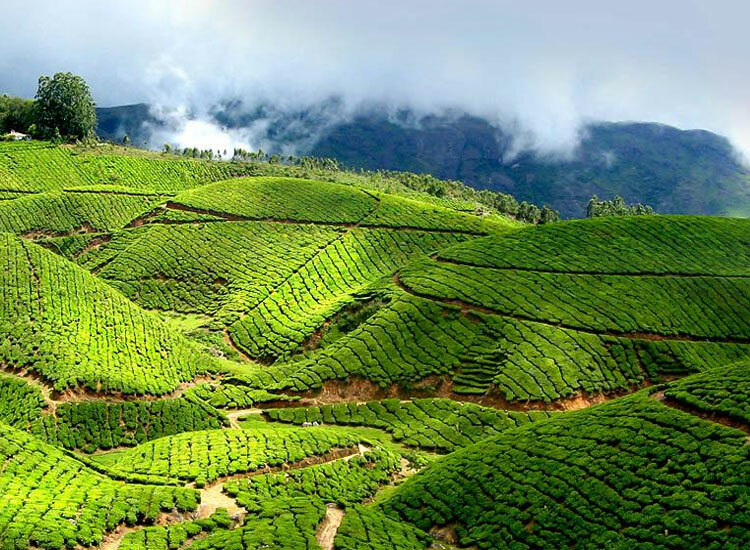 Ooty, also known as Udhagamandalam, is immediately noticeable by its tea and coffee plantations. Located at an altitude of 2,240mts, it’s also known as the Queen of the Hill Stations. This town houses numerous attractions, one of which is the Government Botanical Garden. This park boasts, among other things, a Cork Tree (only one of its kind in India), a 20 million year old fossilized tree and a Flower Show, among others. 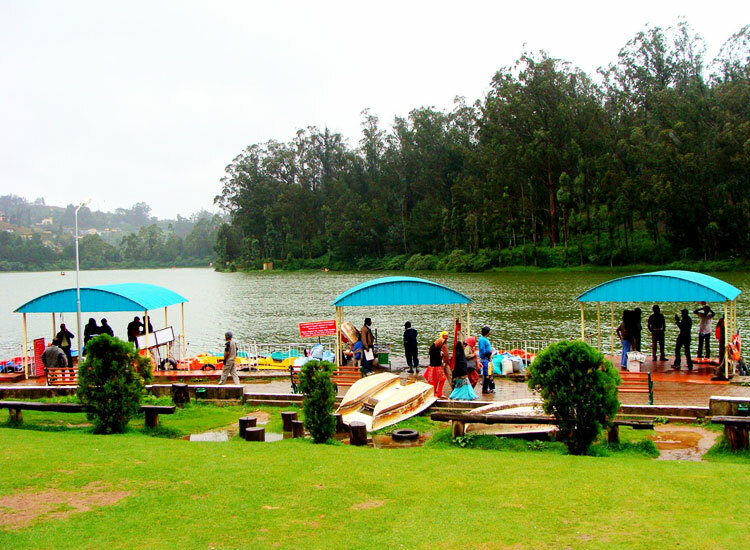 The Lake Park, located on the banks of the Ooty Lake, is another attraction. The best time to visit it is during the evening, when the park is illuminated. However, it’s the Ooty Lake which is the foremost attraction of the town and also its pride. Created by Mr John Sullivan in the year 1984 (the then collector of Coimbatore), the boat offers opportunities for boating and sightseeing in general. Other places worth checking out during your visit here are Deer Park, Government Museum and Lalit Kala Academy. 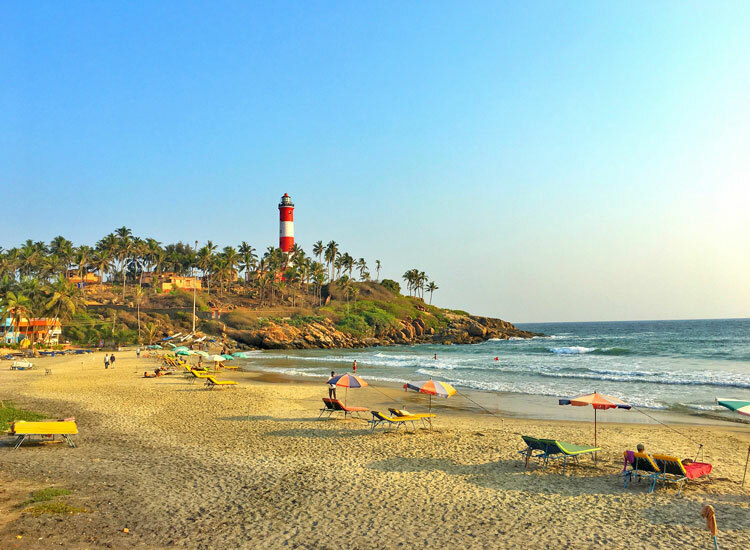 Kovalam, the beautiful coastal town, consists of the renowned Kovalam Beach, along with three adjacent beaches. An interesting fact about this beach is that it has been attracting tourists since the 1930’s. Some of the leisure options at the beach are herbal body massage, sunbathing, swimming, special cultural programs and catamaran cruising. The beach complex here also includes a row of budget cottages, convention facilities, Ayurvedic health resorts, shopping zones and swimming pools, apart from others. Besides, the accommodation facilities here range from five star hotels to budget hotels, while the choice of food available at the restaurants and cafeterias range from Continental cuisines to South Indian delicacies. Mahabalipuram, also known as Mamallapuram, is known so because it was here that King Mahabali was killed by Lord Vishnu. Lying on the Coromandel Coast, it’s a place dotted with temples and monuments built by the Pallava dynasty in the 7th and 8th centuries. Here, you will come across numerous places of attraction which will fascinate you immensely. One of them is Arjuna’s Penance. Consisting over 100 sculptures of gods, birds, beasts and saints, it’s the world’s largest bas relief. 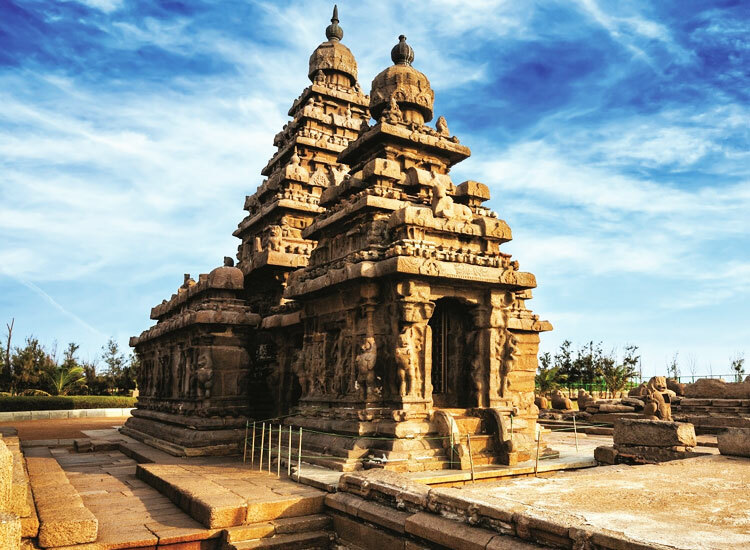 Here, you also come across other attractions like the Shore Temple, built in the Dravidian style of architecture. A symbol of architectural excellence, it has been designated as a UNESCO World Heritage Site. 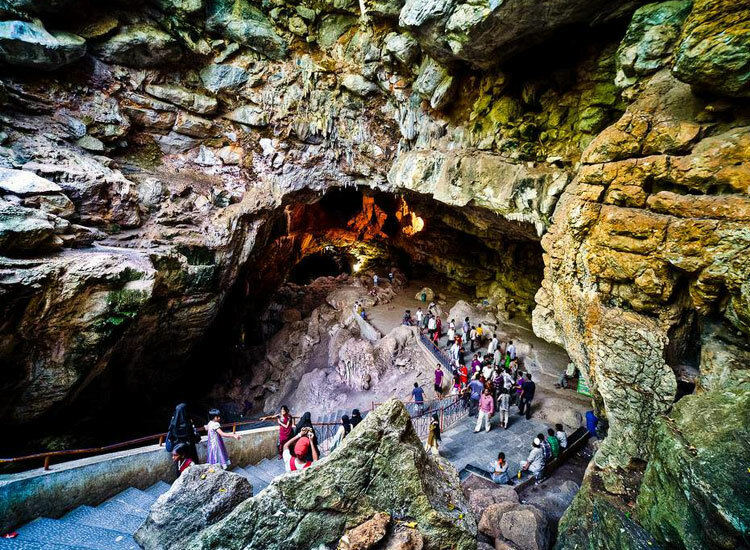 The other fascinations for a tourist here are Varaha Cave, Open Air Museum and Tiger Cave. Giving testament to the architectural excellence existing in the past are other monuments like Ganesh Ratha, The Old Light House and Kodikal Mandapam, among others. Munnar is one of the best places to visit in South India. It once served as the summer resort of the erstwhile British government in South India. There is a lot to lose your heart to here – rows of tea plantations, the quiet surroundings and plenty of opportunities for trekking. One of the main attractions is the Eravikulam National Park. Famous for its endangered inhabitant – the Nilgiri Tahr, the park is home to several species of rare butterflies, animals and birds, and provides immense opportunities for trekking. Trekking to Anamudi Peak, the highest peak in South India with a height of 2,700m, is often a favorite activity with the tourists. Other attractions of this place are Pallivasal, Chinnakanal & Anayirangal and the popular Tea Museum which showcases the growth and evolution of tea gardens of Munnar. Coorg’s claim to being a paradise may sound cliché, but its natural beauty and charm certainly justify its being so. Hills, an old-world charm, amazing food, coffee, vivid culture and warm hospitality – all of these combine to make it as beautiful as it is. This beauty is visible in Madikeri, the lush, green and hilly capital of the Kodagu region, which showcases the remnants of past time. One should visit the Madikeri Fort, the Raja’s Seat and the Raja’s Tomb. 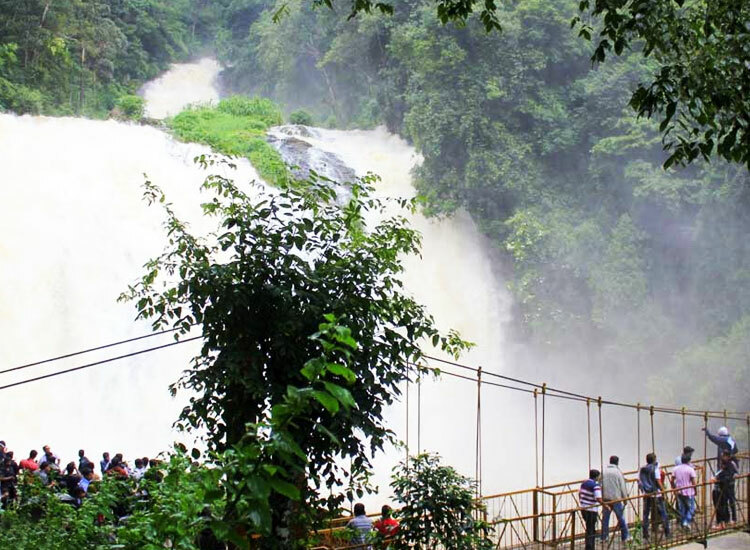 Abbey Falls are another delightful spectacle, located almost 9km away from Madikeri’s dizzy heights. Take a glimpse into authentic Kodava culture by visiting “ainmane”, or, an ancestral home. You could go trekking to Thandiyendamol, the highest peak in Coorg. If however¸ you happen to visit in the month of Match, participate in the Choundi Teray (festival of Chamundi’s spirit), which falls somewhere between 21st and 24th March. Thanjavur is popularly known as the Delta Area as well as the Rice Bowl of Tamil Nadu. It’s a repository of art, religion and culture. This region went through the rule of various prosperous rulers and empires, some of which were the Cholas, Pandiyas, Nayaks of Madurai and Marathas. A group of temples, commonly known as the Great Living Chola Temples, have been classified as World Heritage Monuments by UNESCO. Among the various tourist places in South India, this one is all about, culture, art and architecture. One of these is the Sri Brahadeeswarar Temple built by the Chola Emperor Raja Raja Chola I. It boasts the tallest tower in the world (measuring 216ft tall), and a Lingam about 13ft tall, besides other marvels. There is the Thanjavur Palace, located in the Big Fort. Some of its important structures are Arsenal Tower, Bell Tower and Darbar Hall. The Art Gallery here is a great place for discovering masterpieces and attractions like a glass painting covered with gold sheets, pearls and gem stones that were a part of the royal patronage. Madurai, also known as Thoonga Nagaram, prides itself on its rich past and glorious heritage. Historically called “Athens of the East”, this region was visited by Megasthenes, Romans and Greeks. 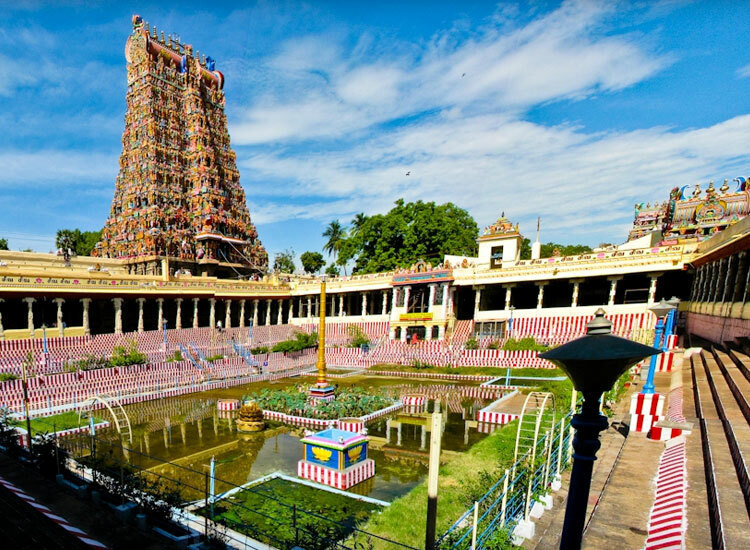 The city’s most distinguished landmark is the Meenakshi Amman Temple, one of the five sabhas (divine dance steps). The size of a small town itself, it houses several gopurams, or towers, with the epitome of architectural excellence being The Hall of Thousand Pillars. It’s believed that the pillars, irrespective of which angle they are viewed from, resemble a straight line. Thirumalai Nayakar Mahal, built by Thirumalai Nayakar, is another fabulous temple which represents a classic fusion of Dravidian and Islamic architecture. Some of the other architectural marvels here are Alagar Koil (which hosts the famous festival of Skandha Sashti) and Koodal Azhagar (which consists of three sanctum sanctorum, one on top of the other). Other places of tourist interest are The National Gandhi Museum, The Government Museum and Rajaji Children’s Park, besides others. Zigzag roads cutting through the mountains with beautiful huts perched precariously beside them, and the gentle breeze lending the atmosphere a kind of stillness, this would be your first experience when you visit the Araku Valley. The road to the valley is lined with thick forests on either side, and the drive there promises to be a memorable one. There are numerous attractions in Araku Valley. One of them is Katiki Waterfalls. About 50ft high, it is an amazing sight to come across. Then there are the Borra Caves, which extend to about 200m in length and contain interesting natural structures like Stalagmites and Stalagcites. The other attractions in this place are coffee plantations, Gosthani River, Dumbriguda Waterfalls and Chaparai Waterfalls, besides many others. 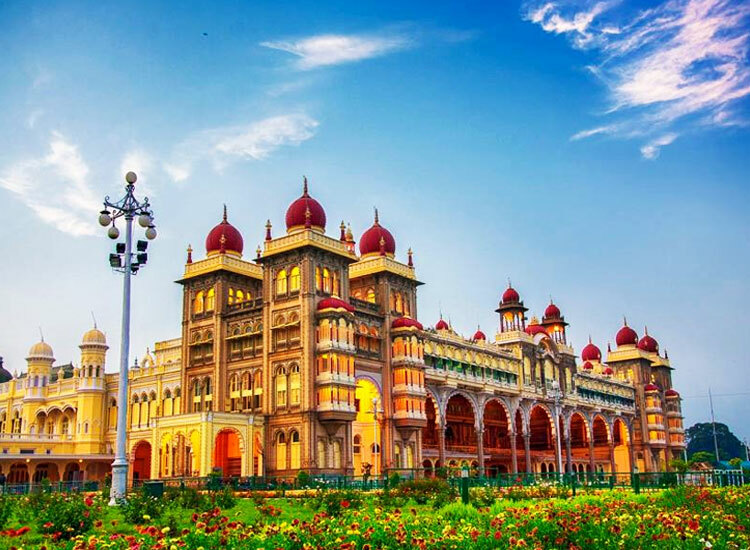 Mysore’s past hangs heavily in its present, and upon visiting this opulent city, also regarded as one of the cleanest in India, you will be greeted by magnificent structures which reflect its glorious past. However, the city is most famous for being associated with Tipu Sultan, along with the symbol of opulence – Mysore Palace. Built in 1912, at a cost of almost 42 lakhs, it’s noted for its slightly carved arches, stained glass pavilion, durbar halls and fine carvings of birds, besides other brilliant specimens of art and architecture. The Jagmohan Palace, built in predominantly Hindu style, is another attraction. Devaraja Market, characterized by beautiful facades and plenty of open spaces, is the place to go shopping. It now consists of almost 722 shops. Crawford Hall, built in 1947 to house the Mysore University Offices, distinguishes itself by its brilliant architecture. The other attractions worth checking out are Brindavan Gardens, Sand Sculpture Museum and Sri Chamarajendra Zoological Gardens, apart from others. Chennai, the capital city of Tamil Nadu, offers the tourists a wholesome experience – beautiful beaches, one day leisure outlets, theme parks and much more. One is fascinated too by its lovely cuisine. 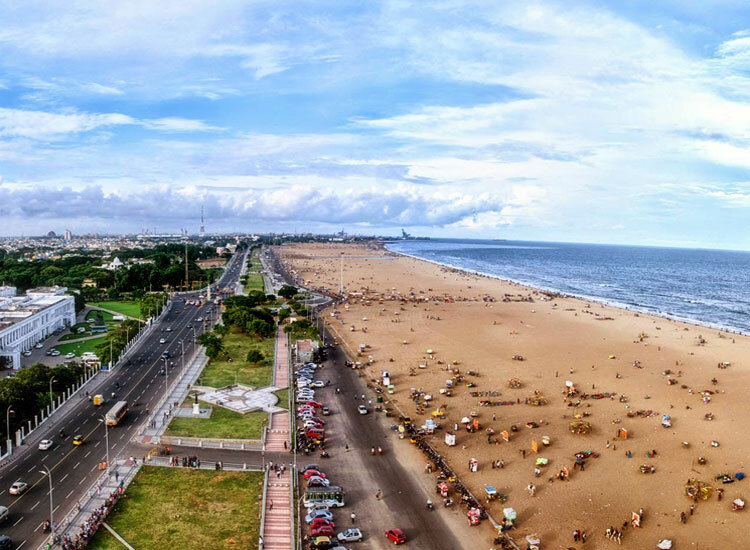 A major attraction here is the Marina Beach, the pride of Chennai and the second longest beach of its kind in the world. Among one of the things to do in South India, during your visit to Chennai, is visit Fort. St. George, a prestigious landmark of the city. St. George Museum is another attraction, consisting of antiquities displayed in ten allergies spread over three floors. Besides monuments and beaches, visit The 7DX Theatre for a fascinating experience. The 7DX Theatre, located near Mahabalipuram bus stand, screens India’s first and only historical 7DX movie – Pallava Dynasty: A Time Travel.